Review: Here is another Fabbookfiend aka Catriona recommendation. I had been toying with the idea of reading this for a while. After reading my buddy read of Chase the Rainbow I had said I wanted to read more Non-Fiction and not just self-help books. As I have mentioned before I work for Cancer Research and we receive hundreds of books it came in and I thought it was a sign – until I realised that Caitlin herself was reading said book on Audible. So I was swayed by the audio and to be honest I’m so glad as I really enjoyed her trademark wit. As I got to the end I realised I would miss her voice and her humour. On the cover of this book it has a quote from Grazia saying ‘The book every woman should read’ and I must admit based on certain chapters I can wholeheartedly agree with that. Caitlin explores a number of topics that effect women including sexism, equality, shaving certain areas of our bodies – part of that made me laugh out loud, bearing in mind I listen to my audios mostly when traveling to work ha. Having children or not having children and abortion to name a few. I love that she’s tackled a number of hard hitting subjects with wit and clarity. I’m 33 and I sure as hell don’t have life sorted but sometimes we have to work with what we have. Thank you Caitlin for saying everything most of us ladies needed to hear. 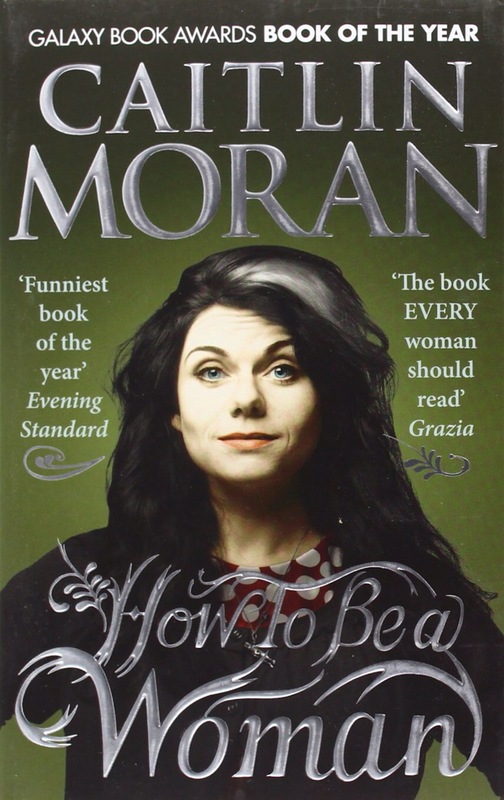 Have you read this book by Caitlin Moran. What did you think? If you have, have you read anymore from her if so what should I read next. My seventh and final book cover post will be up later today.